I’m thrilled to introduce you to a new book, a new author! One you’ve just GOT to read. 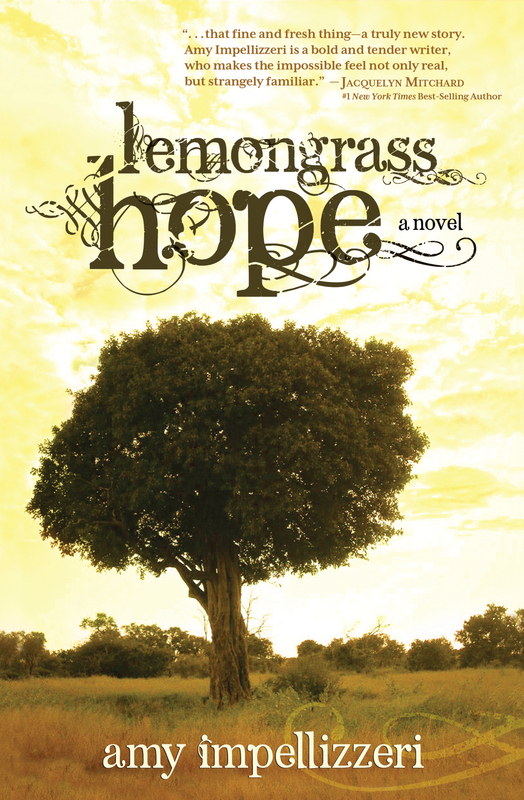 Amy Impellizzeri is a debut author of LEMONGRASS HOPE, just the mere mention of the title slipping from my mouth makes me feel, well…nostalgic, hopeful; it exudes intrigue and evokes another time and place. Say it. Lemongrass Hope. Before the book, Amy worked tirelessly as a corporate litigator. She now advocates for entrepreneurial women, and is at work on her next book, Lawyer Interrupted (due out in 2015) which takes non-fiction delve into the cutthroat world of corporate law. She’s also a mom and wife. L.L. : Amy, thank you so very much for taking the time to be with us today. I have to say, I am reading Lemongrass Hope right now and it’s written in such a way that really propels me into the narrative. You write so effortlessly about women, wives, mothers…and it’s very relatable. If you were to compare your writing with other female authors, or books that take on some of the same themes, who might you feel most aligned with? Amy Impellizzeri: Thank YOU! What a wonderful compliment. I read so many genres and writers, but I have to say that there are certain women writers – like Kelly Corrigan, Jojo Moyes, and Liane Moriarty – who write in such a way that I just know, if they lived down the street, we’d have coffee. Do you know what I mean? And I LOVE the compliment that my story and writing are relatable, because the connections that I have made as a result of Lemongrass Hope are the very best parts of this entire journey. L.L. Let’s talk about the book a bit. So, I am reading and nodding my head. I get 4-year olds. I’ve so been in a coffee shop where my kids have wrecked havoc on the store, my nerves, and everything else. I’ve been to the beach with my kids and I’ve questioned past choices. Did you wake up one day and say, “hey—I’ve got to write about this?” How did Lemongrass Hope evolve? Amy Impellizzeri: Oh, I love that. It’s funny, because all of those completely familiar, relatable scenes involving Kate’s kids might as well have happened to me too, although each one is truly fictional. Everyone asks about “The Question Game,” in particular and the truth is: I made it up. Just like I made up all of those scenes between Kate and her kids. But the “Question Game” is like a caricature of every frustratingly poignant car game/ “why”/ “I spy”/ “where’s waldo” game we’ve all played with our kids, and of course, it played well into the underlying themes of Lemongrass Hope. The simple truth is that Lemongrass Hope evolved from an idea that came to me at a time in my life when I was really obsessed with second chances and roads not taken – mostly in my professional life. I had just taken what was supposed to be a one-year sabbatical from my 13-year corporate law gig, and I was re-evaluating the decisions I had made up to that point. I think my subconscious was working in overdrive at the time, because I had a surreal dream that ultimately led me to deciding to explore the theme in the context of a unique love story. And what I have found from the beautiful way the novel has been received is that – even more so than the coffee shop and beach scenes – this longing for and confusion about second chances and the decisions we do and do not make – are an almost universal human experience. L.L. Let’s talk about the past. They say those who dwell on the past are depressed, the ones who think about the future are anxious, and the ones who live in the present are the ones who are truly happy. Can you speak to that and how it relates to Lemongrass Hope? Amy Impellizzeri: Well, I think there is a little truth in all of that. But I’d like to think Lemongrass Hope explores my own feelings on the topic which include honoring the past, and hoping for the future while truly trying to live in the present. L.L. : Looking at the structure of the book, you start off in third person, that is, everything is, “When Kate first met Benton…” and then we shift POVs towards the middle of the book to first person, “I asked myself again if I should trust this man I haven’t seen in fifteen years.” Was this intentional? Amy Impellizzeri: Yes! Thanks for noticing and picking it up. In Part II, we shift to 1st person, which makes more sense in the context of the entire novel. Without giving too much away, I’ll just say that I very much wanted the reader to abruptly feel the change in Part II, and to feel that he/she had been an observer – along with Kate – in Part I. L.L. : I understand you worked with beloved bestselling novelist Caroline Leavitt on the editing of Lemongrass Hope. She’s fantastic, I know because I’ve seeked out her services. Can you give us some highlights of working with her? Amy Impellizzeri: That’s a great question. There are so many highlights. She is an amazing mentor and brilliant writer and I would scribble notes furiously every time she and I would talk about Lemongrass Hope, or anything else for that matter. She was a fan of the book from the beginning and validated my hope that the idea for Lemongrass Hope was an original one – she even called it (and the ending) “spectacular.” So, I never really recovered from that, of course! But she also made me do the work. She had me flesh out the character arcs for the principal characters, revise and revise until the structure of the book was clean and right. Caroline-as-editor is like your best teachers in high school – the ones who refuse to tell you the answer but who keep pushing you to find the answer on your own, and then celebrate right along with you at the end. L.L. : In fact, you penned this amazing essay for Ms. Leavitt’s blog, on the angst’s of a first-time novelist. I’m going to share it here. I am so humbled by your humility and annoyance at writing, but also your tenacity. Can you touch on that a bit? Amy Impellizzeri: That essay really draws from a time when I was as close as I had ever been to scrapping Lemongrass Hope – tossing the whole thing in the garbage. There was a structural glitch in the book that I couldn’t quite get right, that in hindsight, seems so obvious, but at the time, seemed insurmountable. And so when Caroline said, send me an essay for the Blog about “the writing,” I knew instantly what I would write. For me, the writing is not the hard part. The putting it out there is the excruciating part. In this sense, being a “first-time novelist” has been equal parts daunting and exhilarating, but I am truly savoring every moment! L.L. : I could probably ask questions all day about writing and the book, but we both have other tasks to tend to! One last thing—and maybe the most important—if you were stranded on an island, what book would you take to read, what would you want to eat over and over, and if you could write (assuming paper and pencil, laptop), what would you write about? I would take Life of Pi, of course, because I could read that book over and over again – and it seems like the perfect “stranded-on-an-island” read! I’m hoping I could find a “Jack’s Bar” on the island for perfect conch fritters and island beer, because that would be my dream diet, and besides, I’m not really all that good at fishing and foraging! And I would write the next novel that is swirling around in my brain – which I think is about nature versus nurture and the way that even though we are all connected, we don’t always need to use that connection as a crutch … we can break free from all that connectedness, if we truly want to. A desert island seems the perfect place to explore that theme! L.L: Thanks so much for being with us, Amy!! Amy Impellizzeri: THANK YOU SO MUCH! Amy Impellizzeri is a reformed corporate litigator and author. 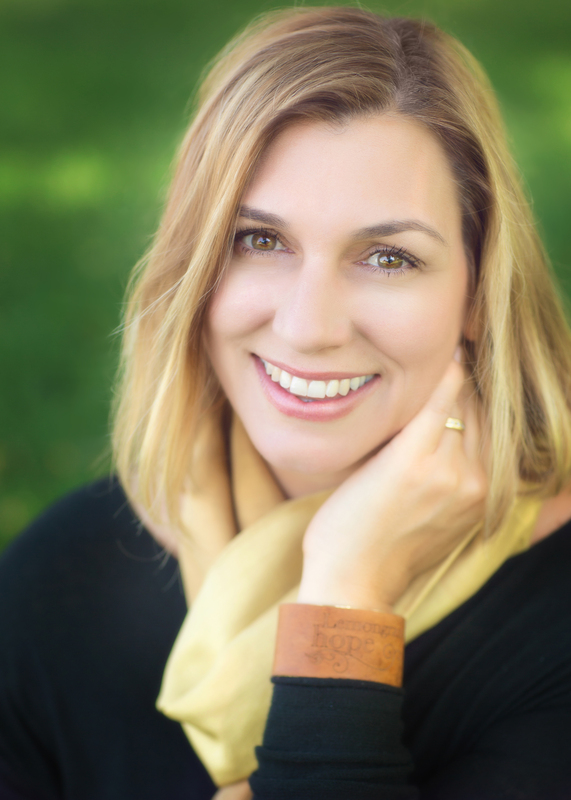 In 2009, she left corporate law to write and advocate for women entrepreneurs, joining the executive team of an investor-backed startup company, ShopFunder LLC (formerly Hybrid Her, named one of ForbesWoman’s top websites for women in 2010 and 2011).Amy’s debut novel, Lemongrass Hope (Wyatt-MacKenzie Publishing, 2014) is an Amazon Best-Seller. Oprah’s very first Book Club Selection Author and NYT #1 Best-Selling Author, Jacquelyn Mitchard, has said “Lemongrass Hope is that fine and fresh thing – a truly new story …. Amy Impellizzeri is a bold and tender writer, who makes the impossible feel not only real, but strangely familiar.”Amy’s first non-fiction book, Lawyer Interrupted, is due out in 2015 (ABA Publishing), and her essays and articles have appeared in The Huffington Post, The Glass Hammer, Divine Caroline, and ABA’s Law Practice Today, among more. Previous Post Write On, Wednesday: Thursday, Friday…What Day Is It? !